Leading Manufacturer of mango seed, neem leaves powder, nigella sativa, neem oil and custard apple seed from Lucknow. About: Mango seeds are very benificial for providing nourishment to skin and hair. Mango(Mangifera Indica) is a tropical fruit native to India known for its sweet and pulpy flesh. Dried mango kernels can be powdered or butter/oil can extracted through cold process method. Mango seeds are rich in essential fatty acids. They have oleic acid, omega-9 acid and other saturated fatty acids. When applied to scalp, they moisturize scalp and help in getting rid of dandruff. Mango seed treats dandruff and itchy scalp. It gets rid of dryness and soothes scalp. 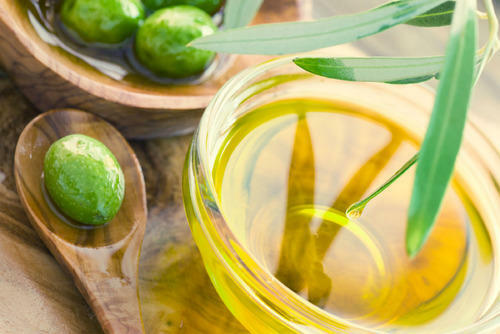 As it is rich in fatty acids, it nourishes hair and imparts great shine. It makes hair stronger and prevents greying. 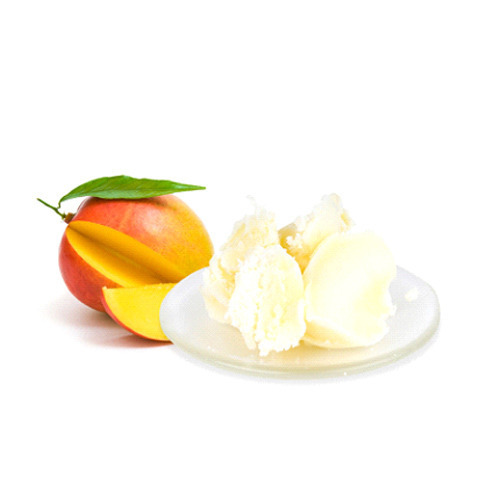 Mango seed butter can be directly applied to scalp. Mango seed butter can be mixed with mustard oil or coconut oil and allowed to rest for days. Once thoroughly mixed, it can be applied on scalp as strengthening oil. Mango seed oil can be used on hair as a leave in oil after wash.
Mango seed powder can be mixed with hair packs to add nourishment. Packing: We offer mango butter packaging in various sizes and variants. According to customer’s preferences, it can be infused with herbs or blended with other oils. Mango seed butter can be packed in glass or plastic jars of different sizes (50 gms. -500 gms.) with metal or plastic cap. Mango seed powder can be packed in jars and pouches of various shapes and sizes. Private labelling: We offer logo printed labels and customer’s desired packaging. We use automatic SS make milling machines, automatic SS filling machine lines and automatic SS make labeling machine, for innovative packaging. About: Neem (Azadirachta indica) has been used for centuries in India for its natural anti-inflammatory, anti-fungal, anti-viral and anti-bacterial properties. Neem helps in keeping scalp healthy and to promote hair growth. Neem soothes and heals scalp while getting rid of dandruff and controlling sebum production. Neem help in getting rid of itching and flaky scalp too. Healthy scalp results in better blood circulation in scalp and healthy hair follicles. Neem prevents hair falls and strengthens hair roots. As neem is anti-fungal and anti-microbial, it helps in getting rid of dandruff which also promotes hair growth. It maintains pH level of scalp and prevents itchy scalps. It controls oil and sebum production in scalp and keep it healthy. Fresh neem leaves can be made to a paste and applied on scalp. It should be kept for 30 minutes. Neem leaves can be dried in shade and made to a powder. It can be made to a paste to apply on scalp or added to other hair packs. Neem fruit seed can be cold pressed to make neem oil which has all the neem benefits and a great emollient. Neem leaves can be infused in oil. Neem leaves can be boiled in water to make hair rinse. This will prevent dandruff formation on scalp. Packing: We offer neem leaves dried/oil/powder/ in various sizes and variants. According to customer’s preferences, it can be mixed with other herbs or blended with other oil. Neem oil can be packed in glass or plastic bottle of different sizes(50 ml. -500 ml.) with metal or screw cap. Neem powder, dried neem leaves can be packed in jars, pouches of metal/glass/plastic in various shapes and sizes. Private labeling: At Gingerly, we offer a range of premier oil which can be combined with any of our blends to create unique personal care or amenities for clientele. We can also customize further by adding essential oils and/or herbal extracts and choosing packaging to reflect your own brand. We offer logo printed labels and customer’s desired packaging. We use automatic SS make milling machines, automatic SS filling machine lines, automatic SS make labeling machine and automatic machine filled bottles for innovative packaging. About: Nigella Sattiva commonly known as Nigella seed are tiny black seeds full of intense hair nourishment properties. Nigella seeds are very effective in hair regrowth and making hair stronger. These seeds are full of vitamin C and provide great nourishment to hair roots. Nigella seeds have been recommended in Ayurvedic and unani system of medicine for centuries. They are known to treat thinning of hair, baldness and hairfall. Nigella seeds help in treating baldness and stimulate follicles. Nigella seeds are full of amino acids which are building blocks of protein. Continuous use of Nigella seed results in thick and healthy looking hair. As these seeds are full of fatty acids, they provide moisture to scalp and hair. They help in fighting dandruff too. Regular use of Nigella seeds makes hair soft and silky. Oil extracted from nigella seeds are most commonly used. This oil can be used alone for topical application or mixed with other oils. Oil should be massaged well in scalp and allowed to penetrate scalp for at least 30 minutes before shampoo. Seeds can be made into a paste mixed with olive oil or honey. It can be applied of scalp for intense nourishment. Nigella seeds can be powdered and mixed with hair packs. It can be used with Henna powder to treat dandruff and condition hair. Nigella seeds can be infused in oil. 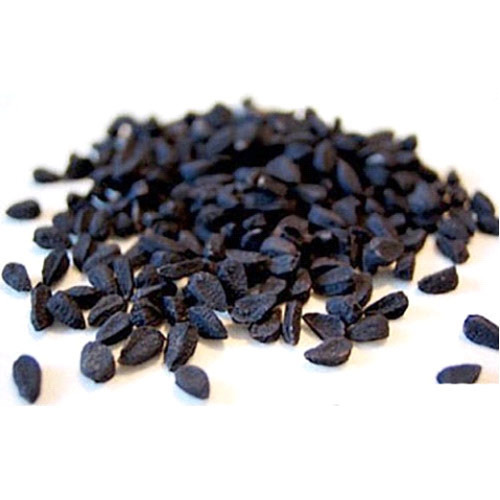 Packing: We offer nigella seeds/oil in various sizes and variants. According to customer’s preferences, it can be mixed with other herbs or blended with other oil. 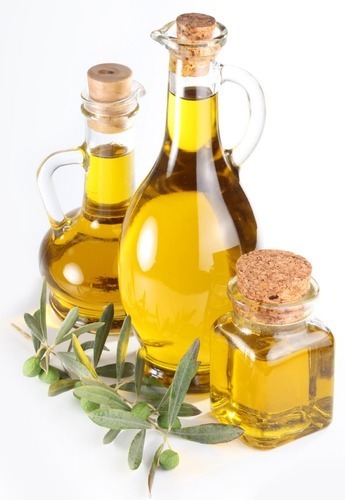 Seed oil can be packed in glass or plastic bottle of different sizes(50 ml. -500 ml.) with metal or screw cap. Nigella seeds can be packed in jars, pouches of metal/glass/plastic in various shapes and sizes. We are offering Aluminum zipper standing window pouches, one side transparent pouches, brown paper pouches and in different colours, jute bags, cotton bags, easy-to-use vacuum sealed sachets to maintain freshness. About: Neem oil is extracted from fruit and seeds of neem though cold press method. 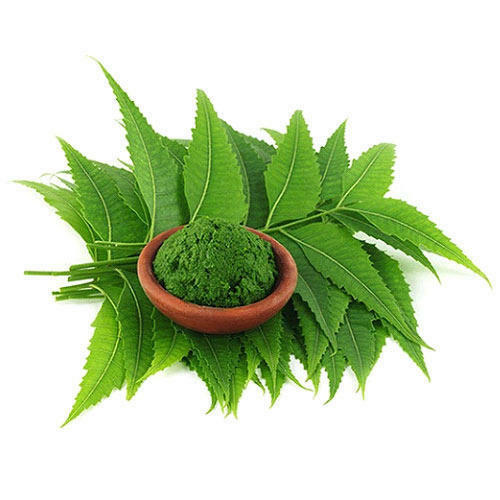 Neem is very popular and commonly used natural skin care ingredient. Skin care - Neem oil is full of anti-oxidants that reduce the free radical damage and protects skin from environmental harsh effects. As it is anti fungal and anti-microbial, it works great as an anti-acne treatment. It heals scars and reduces itching. Neem oil has vitamin E which rejuvenates skin. Neem oil stimulates collagen production in skin which works for anti-aging. Neem oil helps treat scalp from dryness, itchiness and irritation. It helps get rid of dandruff to and promotes hair growth. Suggested uses: Neem oil is an effective skin conditioner. It is an ultimate pigmentation killer. Application of neem oil results in healthier scalp and healthy hair. Neem oil is added in cosmetics as an essential oil. About: Custard Apples(Annona reticulata) are are sweet, fleshy tropical fruits with multiple black-brown seeds inside them. Custard apple seeds have strong anti-fungal and anti-microbial properties. They can also be used as natural pesticides. Custard apple seeds help in getting rid of dandruff and head lice. Custard seeds powder help in getting rid of head lice. It is a natural and safer way of removing head lice without harming hair. Custard seed regulates sebum production in scalp. It reduces flaky skin and dandruff. Custard seed nourish hair and prevent premature greying. Custard seed powder can be mixed with water and then applied on hair as a pack. Custard seed powder can be added in hot coconut oil and then massaged on scalp. Packing: We offer Custard seed powder packaging in Aluminium zipper standing window pouches, one side transparent pouches, jars all in different size and colours. According to customer’s preferences, it can be infused with herbs or blended with coconut oil. Looking for “Anti Dandruff and Hair Fall”?